Spraying smelly bug repellents on the skin to keep mosquitoes away is the worst, and can be dangerous to children and pets. The thought of chemicals seeping into the skin literally make my skin crawl. But no one wants to be stalked by a swarm of mosquitoes either. Not to mention they carry diseases with them that all of us would like to avoid. There are plants that can do double duty in the garden by being aesthetic and pleasing to the eye as well as a repellent from mosquitoes and flying insects. Despite what many believe, mosquitoes are not after your blood. They can smell you from 100 feet away! The deodorants, lotions, perfumes and smelly shampoos confuse the mosquito into thinking you are a flower, and they believe your blood to be flower nectar. There are some easy solutions to remedy this nuisance. Plant herbs and flowers that give off a scent. These plants release a smell into the air that mosquitoes cannot stand to be around. Truly any herb that is pungent, or gives off a distinct smell will deter mosquitoes from coming around it. These herbs and flowers can be made into a tea or natural repellent, and then sprayed around the yard before a person has a party or BBQ. Another method of creating a all-natural repellent is to crush the leaves of the herbs or flowers to bring out the oils from the plant and put them in a quantity of alcohol or vodka. Once the oils have infused with the alcohol begin spraying it outside as one would do with a regular store bought repellent. Here is a list of some flowers and herbs that repel mosquitoes and flying insects. Summer is just around the corner. It is not too late to begin growing some herbs and flowers that can serve mulitple purposes. All of your guests will be thanking you for your thoughtfulness and forethought of keeping the nagging mosquitoes away during their visit! One that has worked best for us that you missed is Neem oil. It doesn't have the strong odor some of these have, but works great! We've had limited success growing our own though. FYI, your statements that mosquitoes are attracted to us because we smell of flowers and that they are repelled by flowers with an odor appear contradictory. There are many types of flowers, herbs and plants that repel biting insects, but these are the most common and easy to find. Mosquitos prey on us because we are big and smelly. They do smell our scents and confuse it with flowers. But we also give off carbon dioxide, heat and natural skin oils that help them target in on us. 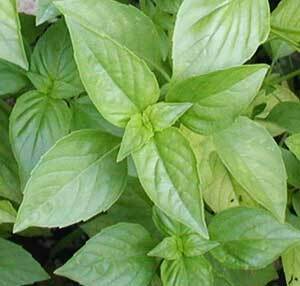 basil,great,I always have it growing!